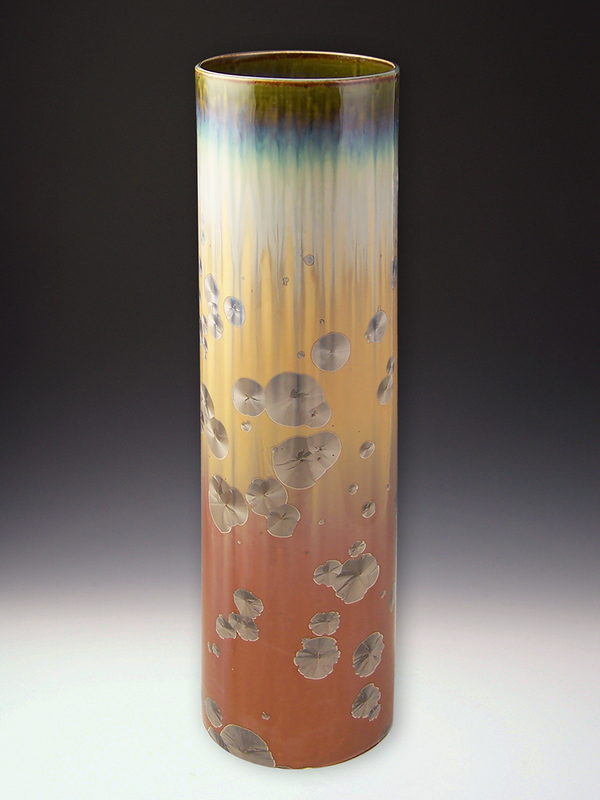 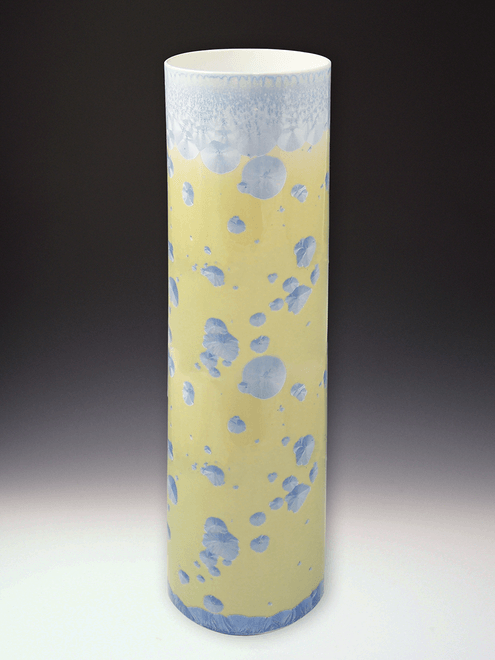 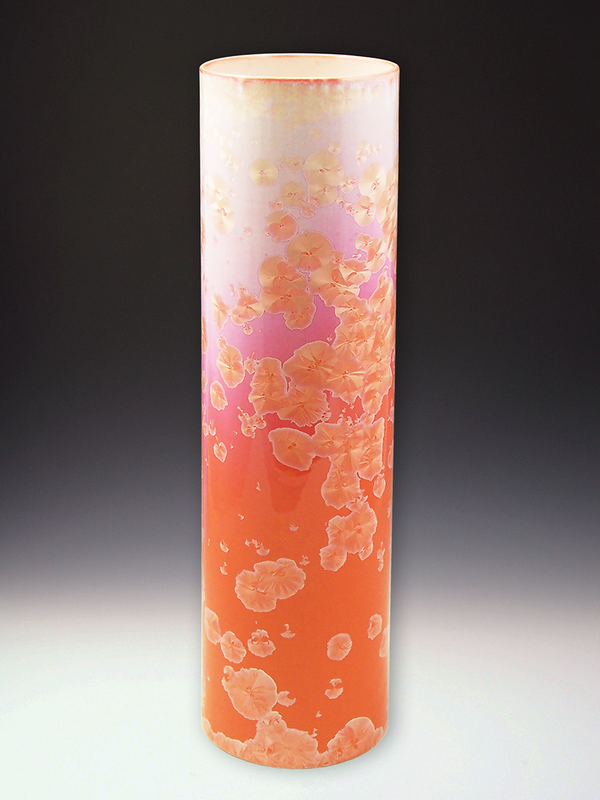 Handmade high fire porcelain cylinder vase with crystalline glazing. Our vases are completely vitreous and will hold water. Flowers from your sweetheart will look even better in one of our cylinder vases. 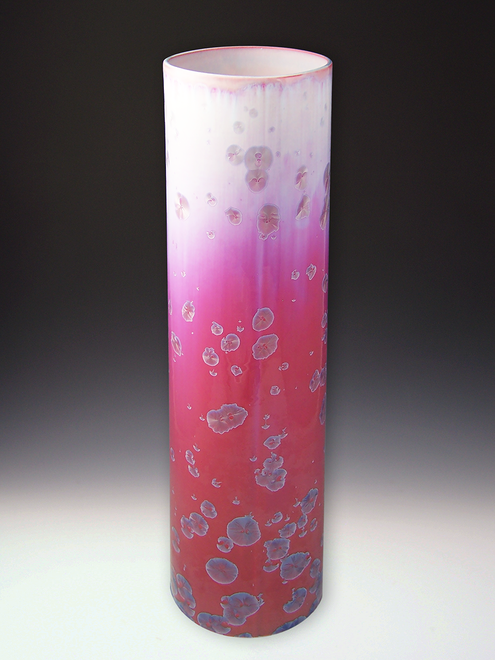 Or a group different sized cylinders together for a gorgeous tablescape. If you are not a flower person our cylinders look great with branches, feathers, or just a beautiful stand alone accent for anywhere in your home.